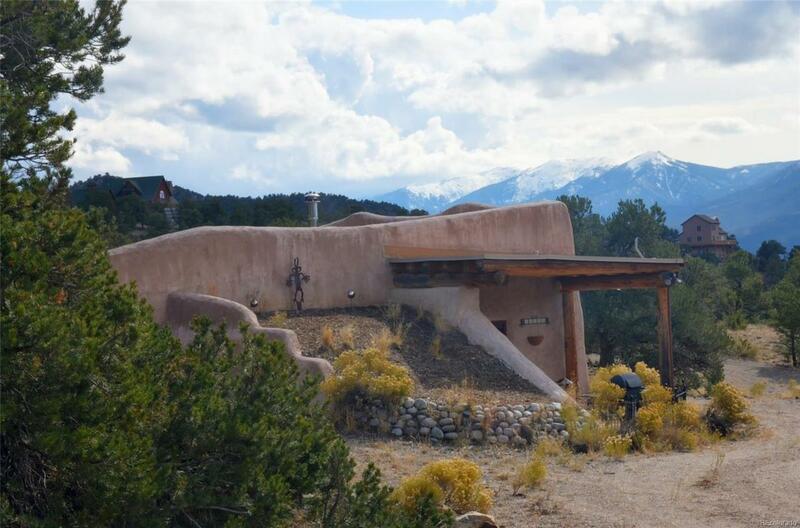 Beautiful and unique home with amazing views just minutes from Salida. 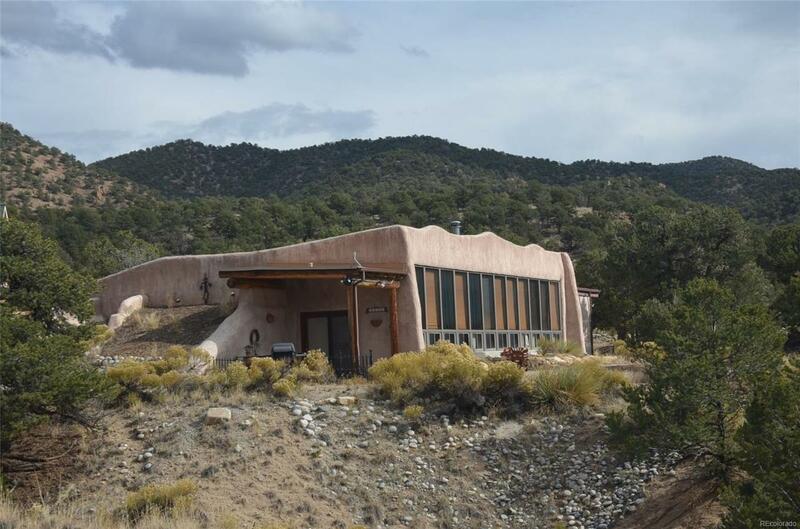 Passive solar "earth ship" home with wall of south facing windows. Interior features an open floor plan with vaulted ceilings, exposed log vigas, large kitchen and living room and interior hot tub. There are 2 bedrooms and room for a third bedroom. 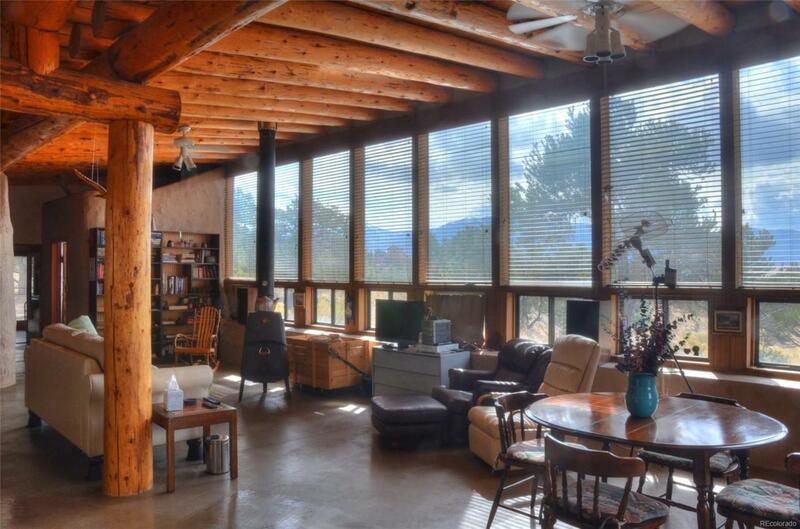 With the passive solar design, home stays at 50 degrees or more even without the heat on - wood stove will easily heat the entire home on the coldest days and there are electric heaters if needed. Exterior of home has low maintenance stucco, covered flagstone patio and ample parking. New roof installed in 2018 with transferable warranty. 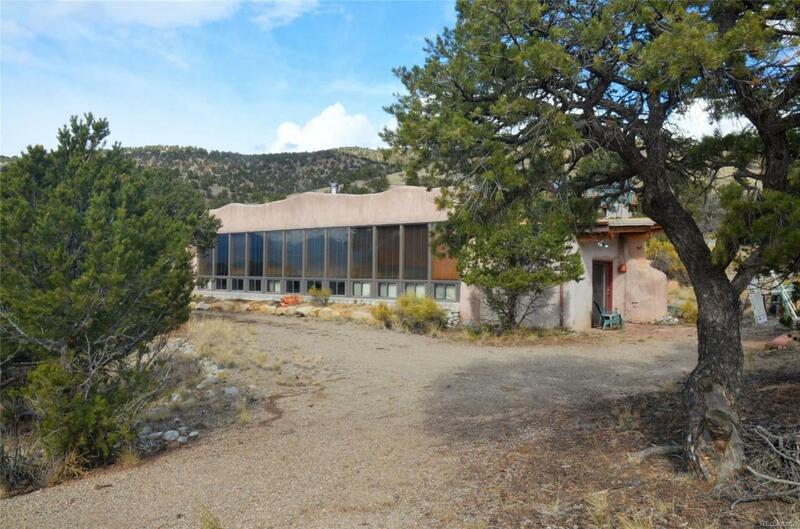 Private 1.46 acre lot located near the end of a quiet cul-de-sac at the top of Pinon Hills - still just minutes from downtown Salida and even less to BLM and trails. House is being sold fully furnished, including hot tub and all items inside and outside of home. No HOA's or covenants. Check out video walk through/virtual tour!